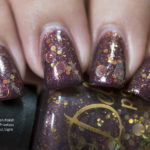 Delush Polish Belle of Winterfell is probably the surprise hit of the Dames of Thrones collection for me. It flattered my skin tone. It wowed me the moment I put it on my nails. That first coat…then the second coat…when I put a matte top coat on it and took a picture?! Honestly, I swooned. Swooned, yo. Seriously. I’m wearing it right now and have been for the past week. I’m sad I’ll be taking it off tomorrow, but for now I’ll be settling for pictures to totally remind me to put this back on my nails! Based on the lovely Sansa Stark from Game of Thrones, I feel that Delush polish captured the color of her hair (at least from Sunday night’s episode!) quite well. While I will never be able to pull off her fabulous hair color as my own hair, I can at least settle for it on my nails! Settle for it I shall. Where do I buy this pretty? Small note — did you watch Sunday’s episode? Total satisfaction delivered in that little over and hour deliciously gluttonous episode. Did you feel the same? 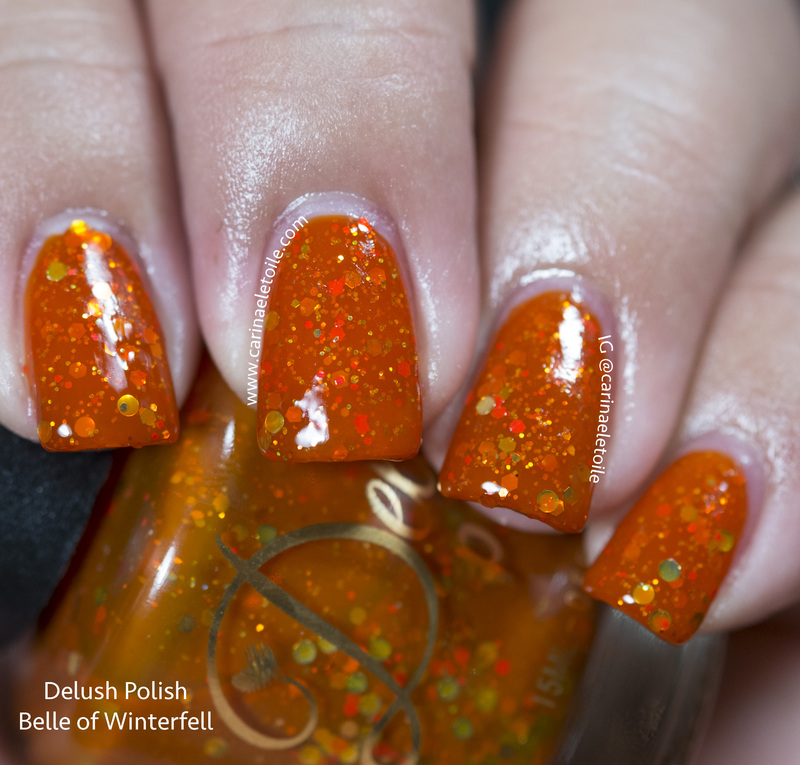 Below are images of Delush Polish Belle of Winterfell. I hope you find this color as mesmerizing and gorgeous as I did. Please click thumbnails to embiggen! 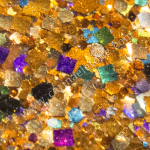 Now that you’ve seen this polish, do you feel you need just this one or the whole collection?